It’s been a while since I’ve written an Oakland A’s blog, but my plan for the rest of the season is to chart the A’s fortunes by publishing a review of every series. Writing about a second consecutive series-sweep is a good way to start. Game Three of the A’s series against the Detroit Tigers was the usual 21.05 BST Sunday start and as I settled down to watch it two words came to my mind: be greedy. The A’s had captured narrow one-run victories in the first two games and it would be natural to be glad to go into Game Three with a series win secured whilst hoping for another win. However, the best teams are never satisfied and with this being far from a classic Detroit Tigers team a sweep was there for the taking. Don’t be happy with 2 out of 3, was my thinking, grab all 3 while you can. 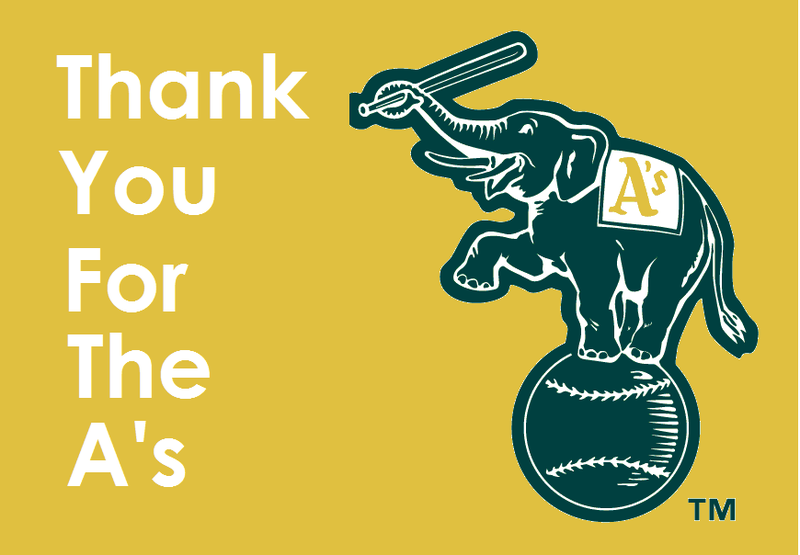 The A’s did just that and this time they put a few more runs on the board in the process. I still get the feeling that plenty of baseball fans don’t really know who Khris Davis, Matt Chapman and Matt Olson are, but all three hit home runs on Sunday and if they carry on in this form then they may well be the object of US national attention when October comes along. Davis in particular is red-hot at the moment. He’s hit 10 home runs since 22 July and has 31 on the season, third in the Majors behind J.D. Martinez and Jose Ramirez (both on 33). His longball on Sunday was classic Khris, seemingly flicking a ball to right-centre that just kept on going. Arguably the most pleasing aspect of the series sweep was the contribution made by the three starting pitchers. Oakland’s outstanding bullpen has been heavily worked of late and so strong showings by Brett Anderson, Edwin Jackson and Trevor Cahill, the latter showing his veteran poise by settling in superbly after escaping a long 29-pitch first inning, were a welcome sight. The A’s had been heavily linked with adding a starting pitcher at the trade deadline, yet a deal didn’t materialise and the announcement during Sunday’s game that the team had acquired reliever Shawn Kelly seemed to show that they had turned their attention to making their bullpen strength even stronger. That was until a little while ago when I logged onto MLB.com to check the home run stats and found a breaking news banner flashing before me revealing that the A’s have signed starter Mike Fiers. He was in town already with Detroit so that will make the travel arrangements a little easier! Fiers had been the name most widely linked with Oakland on the basis that he is a solid starting pitcher without being a guy who would require you to give up too much to get him. It’s a delicate balance for the A’s Front Office as you never want to let a potential play-off opportunity go to waste, yet the potential of a Wild Card one-and-done exit means that the low-payroll, and still rebuilding, A’s would be foolish to mortgage too much of their future in trading away good prospects for a short-term rental. Although it’s not exactly the Astros signing Justin Verlander, Fiers fits the bill as someone who should be able to help out the rest of the way, so the move gets a thumbs-up from me. It’s not always the bigger name additions that pop up with a useful contribution either. I was only vaguely familiar with A’s farm hand Ramon Laureano when he was called up to the Big League roster on Friday. He made an instant impression on all A’s fans by making his first Major League hit a 13th-inning walk-off single in Game One, followed it up with a couple of good catches in centre field in Game Two and then demonstrated a perfect example of ‘good ole baseball fundamentals’ in Game Three when he singled home Matt Olson to break the deadlock in the fourth inning. With runners on first and third, the A’s TV crew, the excellent Dallas Braden I think, were explaining that the gap was there on the right-side of the infield to shoot a single through. Right on cue, Laureano did a textbook job of keeping inside the ball and getting the runner home, something the A’s ideally need to start doing more of rather than being overly reliant on the longball. One of the many slightly quirky things I do in my baseball fandom is keep series sheets to keep a track of A’s batting lineups and how we are using our pitchers. With the next series only consisting of two games, I’ll leave the explanation for the next blog, but here’s the Detroit series sheet in any case. It’s an odd week for the A’s as we have an off-day on Monday, then a two-game home series against the Dodgers, then another off-day on Thursday before starting a weekend series in Anaheim. The Dodgers don’t come to the Coliseum very frequently and as LA are one of the few teams who can match the A’s stunning form of late, it should be an excting, if short, series. Subject to a last minute Fiers fill-in, the series is scheduled to be a southpaw showpiece, with Rich Hill and Sean Manaea starting Game One and Clayton Kershaw and Brett Anderson starting Game Two. Unsurprisingly, both are night-games so they are 03.05 am starts for us in the UK. Work commitments will prevent me for watching either one live, but I’ll be keenly logging on at breakfast to read/watch all that happens. Check back on Thursday for the next series review. Cheers Nigel, nice to be missed!